20 Foot High x 12 foot circumference Spool of Thread; 3" foam core thread / yellow/ aluminum spool . The large spool of thread is positioned next to Cleopatra's "Needle" ( obelisk ) in Central Park , NYC. Location behind Metropolitan Museum of Art. 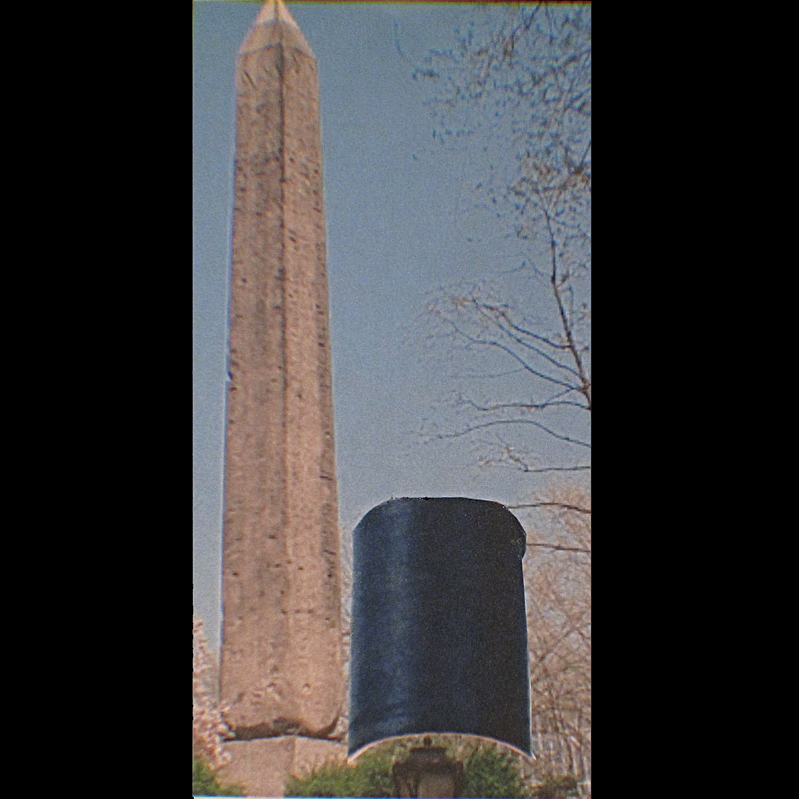 The obelisk is 3,000 years old the spool is contemporary. Time and Process create a structure , In this case the process is stitching the " Thread" I am sewing with is Time. Co-joining the two elements removes them from their original places into a dynamic continuum. It is a form of Historical Erasure that exists in multiple time zones..